Jack Murtagh is a graduate student at Harvard University where he is advised by Salil Vadhan. 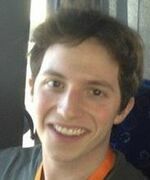 As an undergraduate, Jack studied mathematics at Tufts University. Jack is broadly interested in complexity theory and currently works on derandomization and data privacy. 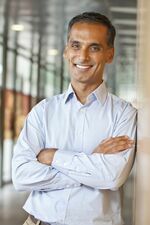 Salil Vadhan is the Vicky Joseph Professor of Computer Science and Applied Mathematics at the Harvard John A. Paulson School of Engineering & Applied Sciences. He received his Ph.D. under the supervision of Shafi Goldwasser at MIT in 1999; the title of his dissertation was “A Study of Statistical Zero-Knowledge Proofs.” Other research interests include the theory of pseudorandomness and the theory and practice of data privacy. He enjoys spending leisure time with his wife and two daughters, as well as learning to surf in the cold waters of New England.